An economical and durable way to get your logo or design on dozens or thousands of shirts, textile sheets, bags, etc. 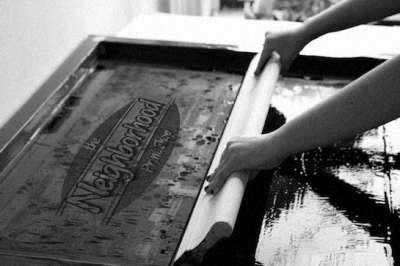 With Screen Printing, the more prints we run at one time, the lower the price. Embroidery gives your apparel, uniforms or brand a professional and upscale look. It’s also ideal for Polos, Jackets, Bags, hats, and towels. 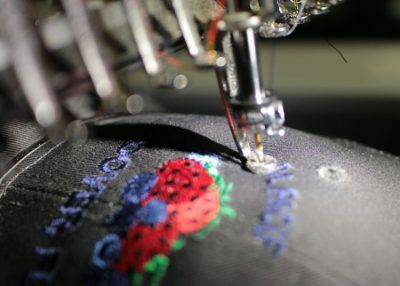 Our machines are capable of embroidering through thick jackets or producing delicate lace. The key to a great finished product is digitizing. Our graphics artists have specialized software to convert your logo or design into a beautiful stitch pattern that stands above the competition. When it’s time to hand out your card, do you really want the printing companies logo on the back of it? 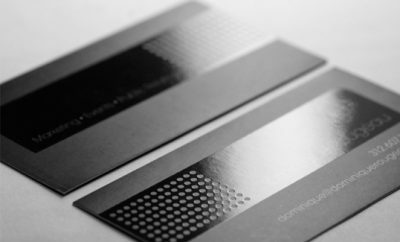 Our cards and designs are premium and tailored to you. Our background is in branding, so when it comes to your design we design your card to compliment sound networking principles. Our cards come in a variety of card stock weights, finishes, and printing methods. If you’ve seen an impressive card online, we have the resources to produce one like it for you.